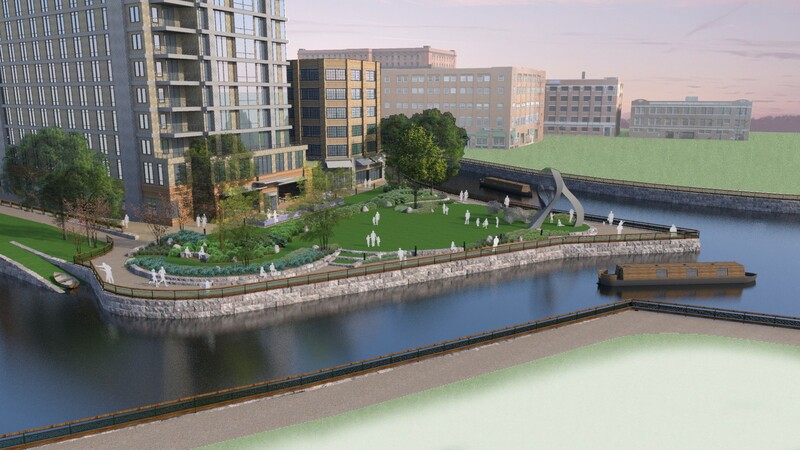 As part of the park development, CRJA-IBI Group designed two canal walks, one along the Swamp Locks/Lower Pawtucket Canal, and the other along the Hamilton Canal, for which they needed to coordinate with both the National Park Service and the Massachusetts Department of Conservation and Recreation. 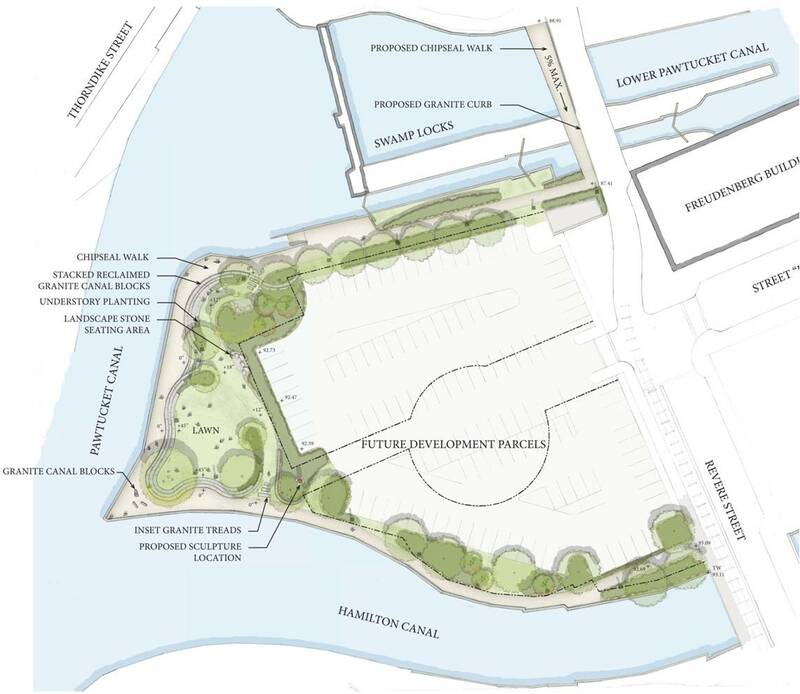 This included the design of a new, accessible walkway link across the Revere Street Bridge to the Swamp Locks Multimodal Center. 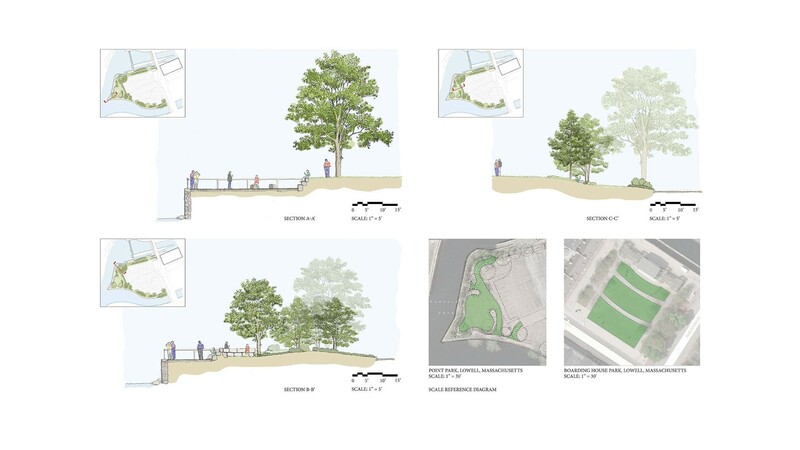 The design for the park and canal walks uses National Park Service canalway details where appropriate. As prime consultant for this project, CRJA-IBI Group coordinated the repair and in some areas the reconstruction of the historic granite canal wall to ensure its structural integrity for the park development, and extend its life as a historic resource. The CRJA-IBI Group team addressed a number of grading challenges encountered while connecting the lower elevation canal walks to higher elevation bridges crossing the canals, using subtly placed retaining walls and/or boardwalks, to avoid adverse impact to the historic and structural integrity of the canal walls.